Works primarily with plant ecology and surveys. Project management. Method development. Training. Monitoring. Deciduous woodlands. Data management issues and GIS. 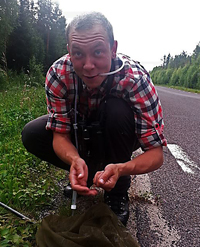 Has worked for example as the Swedish project manager for the Woodland Key Habitat Survey in Estonia and Lithuania and as project manager for the survey of woodland with high biodiversity in western Russia. Works primarily with surveys and management plans, but also with training. Interested in many different areas within biology including the ecology of the rural landscape, the history of nature conservation, grazing ecology, wood biology and pollination biology. Always keen to study the insect fauna and has surveyed beetles for more than thirty years. Has a PhD in the wood decay fungi on spruce. 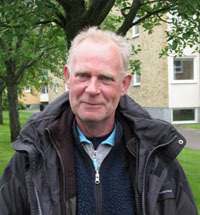 Has been teaching at Gothenburg University for many years and is responsible for the courses in nature conservation biology and ecology. Works primarily with surveys, management issues and monitoring in different types of terrestrial habitats such as deciduous woodland, grasslands, fringe and mantle habitats, sand dunes and coastal habitats. Management plans, monitoring, training, EIA, GIS. Also works with the analysis of ecological data and how the results from these analyses can be used and applied within practical nature conservation. 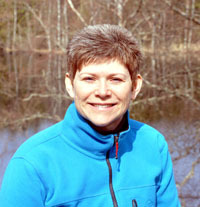 Is an ecologist and has worked professionally with nature conservation since 1992. Up until 2003, she worked in England. Vikki has worked throughout her career with issues relating to practical management and restoration of ancient trees including writing individual tree management plans. Has produced management plans, different types of vegetation analyses, training, guided walks, translation and production of information material. 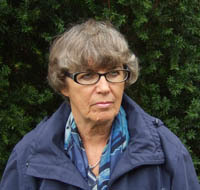 She is also a board member of the charity Ancient Tree Forum in the UK. Works as a team leader for RÄFS Nature Conservation Practical work team, which manages nature reserves and other sites requiring management in Skövde District Council and the surrounding area. 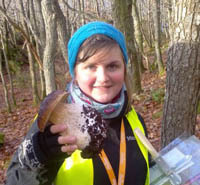 Also active in the area of mycology and is responsible for the Västgötabergen Fungi Club's database of fungi records. Dedicated amateur botanist. Conservation biologist and ecologist primarily working with surveys of broadleaved forests, veteran trees and grasslands. Also working with compilation and design of boards and brochures for protected areas, translations, illustrations and GIS work. Have interest in many fields of biology, particularly management and ecolog in the agricultural landscape and treecovered biotopes. Works with surveys of plants, lichens, mosses, mammals and birds in the rural landscape, woodlands and wetlands. EIA. Geographical experience and speciality: Småland. Ola is a conservation biologist and has been working with nature surveys and management of nature areas since 2013. 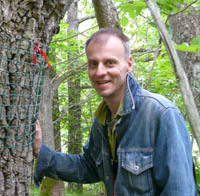 He has a wide competence in terrestrial ecosystems with forests and lichens as special focus. 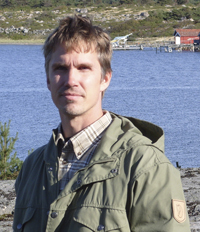 Ola is particularly interested in how ecological data can be used as a base för decisions on management and other nature conservation measures. Has his basis in the Stockholm area but his operational area is nationwide. 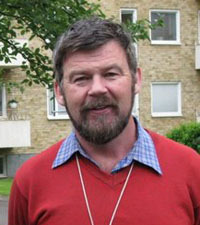 Claes Hellsten works with the Biosphere site Östra Vätterbranterna under contract from the World Wildlife Fund WWF. A trained outdoor education teacher (Ecobus, Jönköping District Council) and small-holding farmer, works with training, landscape management and protection, restoration (woodland, grazing), biological and cultural heritage, joint projects with NGOs, local authorities and farmers. 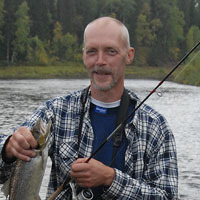 Kurt-Anders works primarily as a team leader for RÄFS Nature Conservation Practical work team. 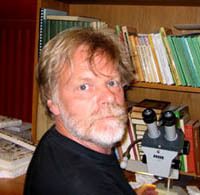 He has been chairman of the Västgötabergen Fungi Club for 25 years. Has also worked with vascular plant botany, bryology and ornithology for many years. 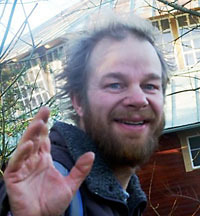 Conservation biologist educated in the University of Göteborg. Special interest in ornithology and has made a study of the occurrence of nightjar in urban areas. 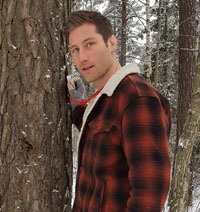 Fredrik have been working with surveys for forests, grasslands and wetlands and has also produced Environmental Impact Assessments (EIA) for cityplanning, escpecially with vascular plants and cryptogams as tools. Also working with GIS. Ecologist with a broad knowledge of terrestrial natureconservation. Has a high level of knowledge in many organism groups, but also works with the production of interpretation material . 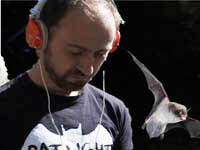 Has worked as a nature conservation consultant since 2001. Utbildad forskare och copywriter, med fladdermöss som specialkompetens. Sedan 2010 driver Johan eget företag, Graptolit ord & natur, som skribent, utredare och naturinventerare. Men ända sedan 1998 har han anlitats som konsult i fladdermusfrågor och driver siten www.fladdermus.net tillsammans med andra fladdermusexperter. Hösten 2011 var Johan delaktig i öppnandet av Sveriges första fladdermuseum (Fladdermuscentrum Taberg) och arbetar nu heltid med populärvetenskap och fladdermusinventering, särskilt med fokus på vindkraftsprojektering. Johan har också en rad böcker på sitt samvete, bland annat Djurens Evolution, en pocketbok om livets ursprung och förändring. Has previously worked as a researcher, but has also worked with the Swedish Environmental Protection Agency and County Administrative Board. 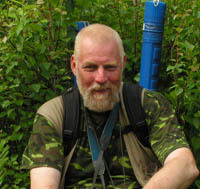 Has worked for many years as a consultant in his own company called MK Natur- and Miljökonsult HB, preferably with issues in relation to bird surveys and freshwater. Issues concerning loons are a particular area of expertise. In recent years, a lot of time has been spent working with issues in relation to the two EU Nature Conservation Directives, the Bird Directive and the Species/Habitat Directives. A lot of time has also been spent working with EU/LIFE, the programmes of "Nature" and "Biodiversity", where Mats has worked as a national advisor. Mats has also worked wiht policy issues in relation to wind energy and its effect on the natural environment. 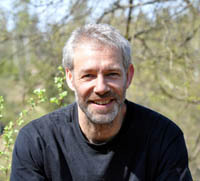 Researcher and wood mycologist at the Norwegian Institute for Nature Research(NINA). His specialist areas are lichens and wood-living fungi. Works also with Ascomycetes for the Swedish Taxonomy Initiative. Undertakes research in deciduous woodlands. Works with planning and design of ecologial assessments/surveys as well as biological statistics. 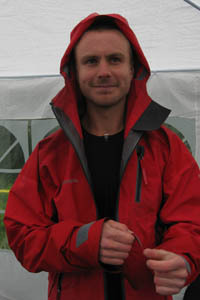 Works as a researcher with a focus on landscape ecology, oak habitats and red data book species. Utbildad natuvårdsbiolog som främst arbetar med inventeringar av olika organismgrupper och naturtyper. Fokus ligger på insekter med vedlevande skalbaggar och fjärilar som tidigare arbetsfält. God kunskap om fåglar och inventeringar av dessa. Har gjort naturvärdesbedömningar med grund i flera organismgrupper bland annat kärlväxter, lavar och mossor. Arbetar även med GIS. Har bas och utgångspunkt i Kalmar. En av landets främsta mykologer vad det gäller marksvampar. Har tillsammans med sin framlidne man, Leif Stridvall, inventerat svampar – ideellt och yrkesmässigt i mer än 40 år. Är dessutom mycket kunnig på kärlväxter och lavar. Driver en hemsida med en enastående mängd fina bilder på kärlväxter, lavar och svampar (www.stridvall.se).